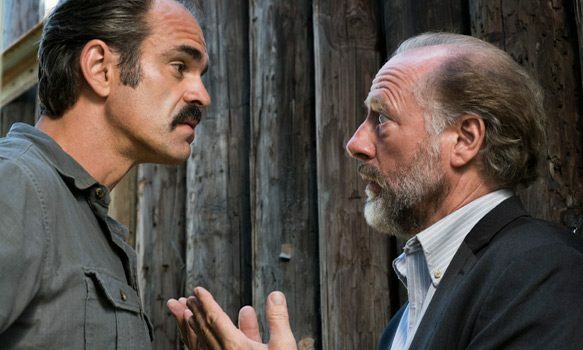 On the latest episode of AMC’s The Walking Dead, premiering Sunday, March 19th, a ton of emotions were released as the group prepare for the big fight with Negan. Directed by Michael E. Satrazemis, The Other Side shows tensions rise as the chess pieces keep moving towards the inevitable outcome, of course with a few surprises arising along the way. While Maggie helps get the members of The Hilltop ready for the fight against The Saviors, Rosita teams up with Sasha to head right to the source and take out Negan. They escape The Hilltop just in time when Simon and his crew make a surprise visit, not just for supplies, but for someone of great value. Unable to get out without being seen, Maggie and Daryl choose to hide in a cellar, where they have a chance to reflect on the demise of Glenn. Riddled with guilt, Daryl makes a tearful apology, Maggie making it clear she never blamed him in the first place. She helps him channel his anger and grief to the task at hand, winning the big fight. When the girls reach The Sanctuary, they spot Eugene and resort to a different plan. They make it close enough to rescue him, but he refuses to go. Not willing to turn back, Sasha makes it through the fence, locking Rosita out to save her life from this suicide mission. Rosita makes a run for it, but sees a figure in the shadows staring at her before she can make it very far. There is no question the lose of Glenn and Abraham has taken its toll on the group, and The Other Side revolves around a few characters’ emotions and grief, finally facing their issues head on. It was clear Daryl blamed himself for Glenn’s death, never able to look at Maggie or speak to her. When she is finally able to confront him, his breakdown was truly heartfelt, and her understanding embrace only brought on more tears. Meanwhile, the conversation between Rosita and Sasha was long overdue. Finally opening up to each other, while they waited for Negan to make an appearance, a great deal is revealed about Rosita. A strong character, but clearly not a fan favorite in Season 7, Rosita grieves for Abraham, only coming out towards everyone with anger, her decision making annoyingly reckless. Her heart to heart with Sasha gave her character more stability. This finally out in the open, hopefully fans can expect a more level-headed, badass Rosita in the near future. In addition, Jesus opening up to Maggie was a neat display of her effect on The Hilltop. The whole community seems on board for the cause to exact revenge on The Saviors, except for Gregory. It is clear he is losing power and being pushed aside. Although his hint of concern to Simon did not give anything crucial away, it could stir up more problems for the group. Will Gregory betray his own people to save himself? 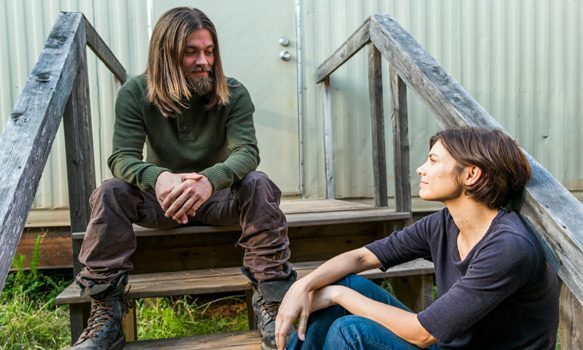 With only two episodes left, The Walking Dead fans are patiently waiting and hoping the answer to a lot of questions emerge before the end of Season 7, which many are arguing has been extremely drawn out and slow. 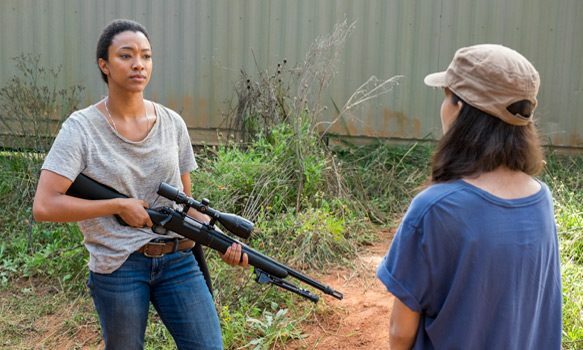 Some of the questions everyone is asking include, “What will become of Sasha, What is Eugene thinking, Who is the figure staring at Rosita, and Where in the world is Heath?” Hopefully all the waiting will pay off and devoted viewers will receive a little piece of mind on Sunday, March 26th, when Something They Need premieres at 9/8c. Until then, CrypticRock gives The Other Side 3.5 out of 5 stars. A former marketing representative of Koch Entertainment, Shannon Montalbano worked on a multitude of album releases in her time with the company. With an irresistible passion for music and Horror cinema, Shannon pours her thoughts into each piece she writes.